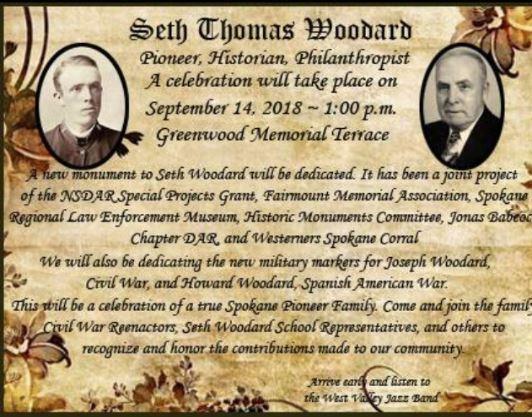 West Valley was invited to participate in a recent dedication ceremony for Spokane Valley Pioneer Seth Woodard. 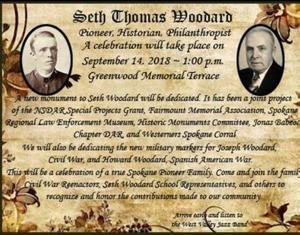 Seth Woodard Elementary is named in honor of Mr. Woodard. Mr. Woodard was very involved in the creation of the Millwood Community as well as very involved in the evolution of the education system in our area. A gathering to celebrate the historical monument dedication was held at Greenwood Memorial Terrace. This was a project of the Daughters of the American Revolution, Fairmount Memorial Association, Spokane Law Enforcement Museum and Historic Monuments Committee. The West Valley High School jazz band performed at the ceremony and Superintendent Gene Sementi and Principal Mike Lollar were guest speakers.